For fans of Raina Telgemeier’s Smile and Ghosts, here's a heartwarming graphic novel about the ups and downs of friendship, surviving the transition to middle school and the fast-paced sport of roller derby. Astrid has always done everything with her best friend Nicole. So when Astrid signs up for roller derby camp, she assumes Nicole will too. But Nicole signs up for dance camp with a new friend instead. The new friend has a history of meanness with the girls, so Astrid can't believe her friend would want to hang out with her. Soo begins the toughest, most confusing summer of Astrid's life. There are bumps and bruises, hip checks and break outs as twelve-year-old Astrid learns who she is without Nicole...and what it takes to be a strong, tough roller girl. Published by Dial Books, 2015, 240 pp. A sinister Problem has occurred in London: all nature of ghosts, haunts, spirits, and specters are appearing throughout the city, and they aren't exactly friendly. Only young people have the psychic abilities required to see-and eradicate-these supernatural foes. Many different Psychic Detection Agencies have cropped up to handle the dangerous work, and they are in fierce competition for business. 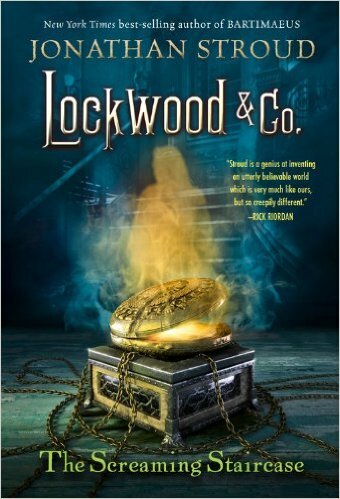 The plucky and talented Lucy Carlyle teams up with Anthony Lockwood, the charismatic leader of Lockwood & Co, a small agency that runs independent of any adult supervision. After an assignment leads to both a grisly discovery and a disastrous end, Lucy, Anthony, and their sarcastic colleague, George, are forced to take part in the perilous investigation of Combe Carey Hall, one of the most haunted houses in England. Will Lockwood & Co. survive the Hall's legendary Screaming Staircase and Red Room to see another day? If you like a book that reads like a movie, this is the novel for you. Short chapters, brisk plot, action, action, action. Michael Vey might seem ordinary. Okay, so he has Tourette's syndrome which shows up in his uncontrollable facial ticks and eye blinks. But that's not all that's ticking. Michael has a power. Really. Like Commonwealth Edison. He's electric... Of course, Michael thinks he's unique. But, of course, he's not. Inevitably, he becomes part of a trio of teens out to save the world (or at least the other "electros") from the bad guys, in this case a powerful group which wants to use the electric children, product of a genetic experiment gone awry, to control the universe. A 2016 Rebecca Caudill nominee. Ella and Zachary, called Z, have been friends forever, but Z has always been “the weird kid” in their class. He collects stubby pencils, plays chess, and maintains an elaborate fantasy life, starring himself as a brave knight. Z’s games were okay back in 3rd or 4th grade, but by now their other friends have ditched them both. Z doesn’t care, but Ella longs to be part of a group of friends, even though most of the class makes fun of her. When a new boy, Bailey, moves to town, he befriends Ella, because they are now the only two black kids in the sixth grade class. But Bailey is popular – popular enough to make Ella cool and give her a wider circle of friends – but only if she stops hanging out with Z. That's a tough choice, one that Ella doesn't want to face. This is a moving story about friendship, bullying, and doing the right thing. A Rebecca Caudill nominee for 2014-15. Published by Andersen Press, 2012. "My name is Cally Louise Fisher and I haven't spoken for thirty-one days. Talking doesn’t always make things happen, however much you want them to." When Cally Fisher sees her dead mother, real as anything, no one believes her. So Cally stops talking – what’s the point if no one is listening? The only other living soul who seems to see Cally's mom is a mysterious wolfhound who always seems to be there when her mother appears. But without a voice, how will Cally convince anyone that her mum is still with them, and how will she ever persuade her Dad that the huge silver-grey dog is their last link with her? This novel is sweet, sad and filled with longing. Published by Katherine Tegen Books, 2012. Just in time for the Sochi 2014 Winter Olympics, here's a delightful little confection that's sure to please the wishful dreamers watching the figure skating competitions on TV. 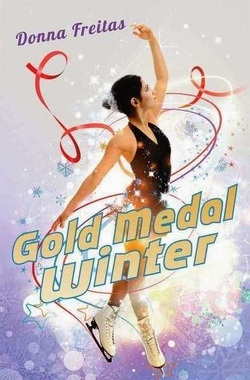 Esperanza Flores finds her ice dreams coming true, but when she nabs a spot on the U.S. ladies' figure skating team and heads for the Olympics, she's hit with unbelievable pressure. Not only is she the first Latina skater to reach the Olympics, but she's dealing with some backlash for replacing an injured skater. Does she really belong on the team? Can she deal with classic "Mean Girl" drama? And a couple of hunky guys who share her ice? 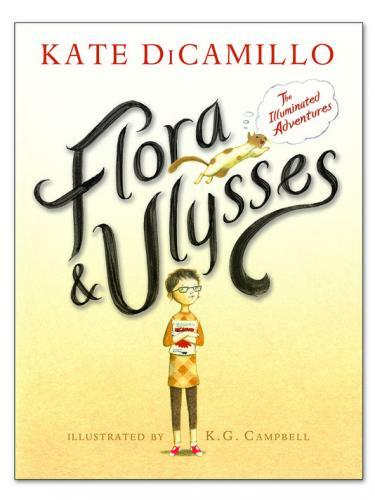 Fizzy, frothy fun for 4th through middle school grade readers! Published by Arthur Levine/Scholastic, 2014. Cady is a cheerful 11-year old who lives in a magical world where everyone has a Talent (with a capital T). Hers is a particularly enticing one: she can bake the perfect cake to suit the personality and taste of anyone she likes. She's an orphan and, unfortunately, the orphanage matron, Miss Mallory, whose Talent is finding the right parents for orphans, has been unable to find a pair for Cady. But soon Fate intervenes. Throw in a delicious peanut butter factory, an evil Talent thief, a pivotal hair pin, and a mysterious suitcase that could hold the key to everything, and you have plot twists galore. The reader will also find a generous helping of cake recipes. Fans of Wendy Mass and Sarah Weeks may also enjoy this delightful treat. Joanne Zienty is a reader, a writer, a librarian and a tech geek. For more info, see the About Me page.